Check the water supply lines and pipes to major appliances for wetness, bulging hoses or other signs of deterioration. For example, your dishwasher or your washing machine. A plumber Melbourne can assist you with this. Unclog the drain if pipes are draining slowly and check pipes under the sink for signs of water leaks. You might need a plumber Melbourne to help you unblock the drain. To reduce leaks and avoid major repairs, replace your hot water system every 8 – 12 years. 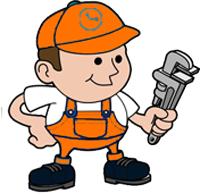 A plumber Melbourne will be required to help you install a new hot water system. Regularly check for wet patches on walls or in gardens after dry weather months. A plumber Melbourne can provide assistance with this. Place food dye in the toilet cistern to check for leaks in the toilet. This works really well to locate leaks. If you suspect a water leak in your home, it is highly recommended that you call a plumber Melbourne immediately.